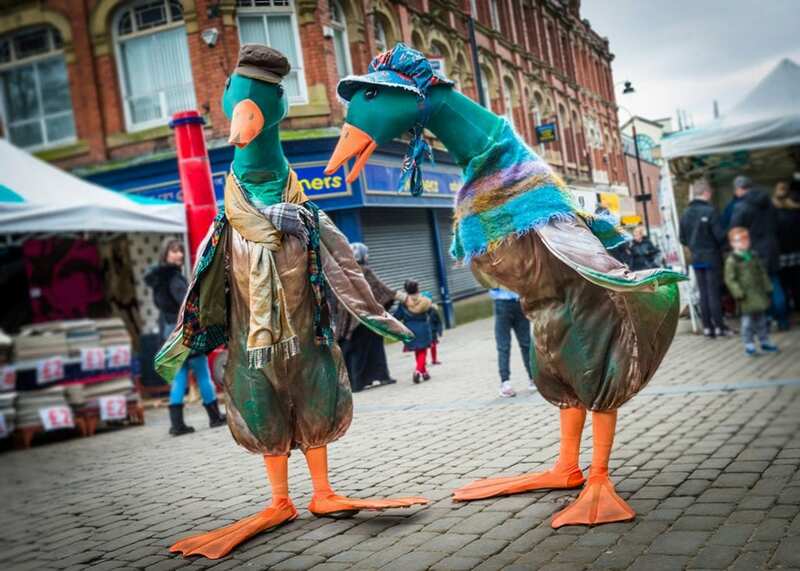 Attention big bird lovers, there is no mistaking: The Puddle ducks are here! Set to make your heart melt. The friendliest of fowl, keen to investigate every situation with their curious, gentle waddling charm. 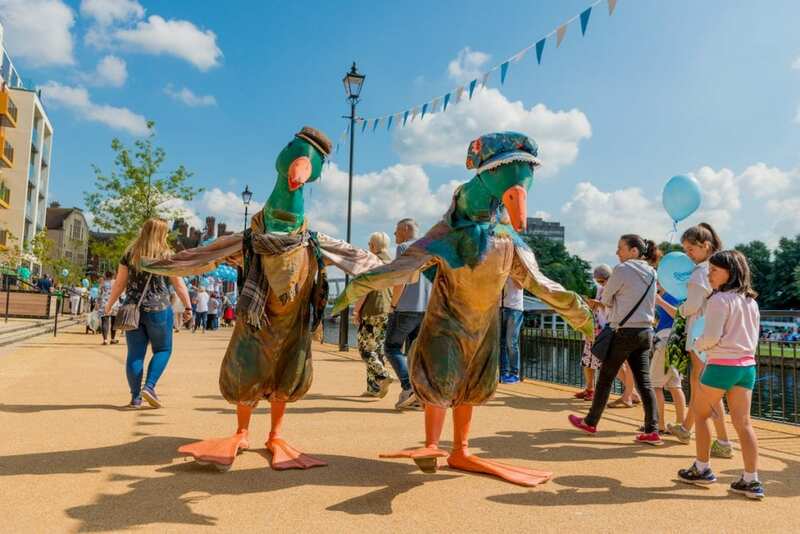 Perfect for outdoor events, Beatrix Potter themed, ponds, parks, high streets, fetes, festivals and family fun days. 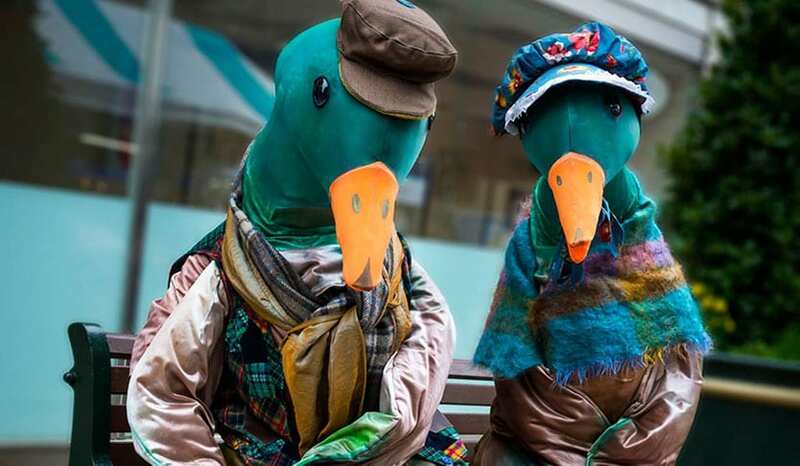 Perfectly child friendly, Mr and Mrs Puddle Duck are positively quackers and cannot wait to meet you. 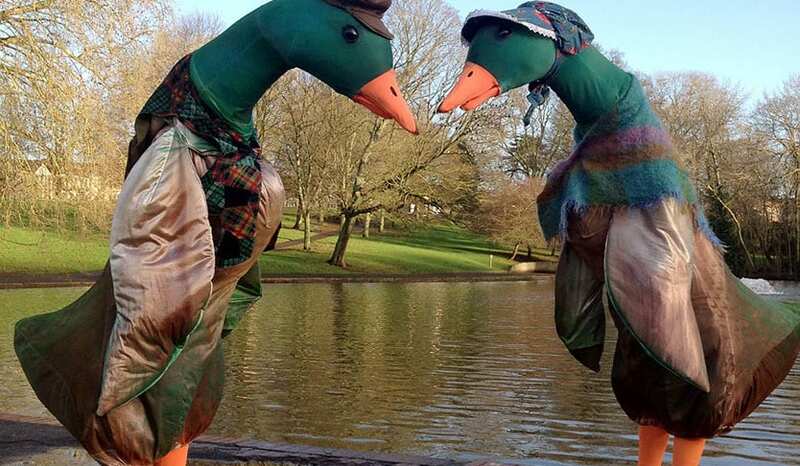 A family friendly act, suitable for all ages involving two human sized ducks. They will inquisitively peck and quack causing children to reel with laughter. 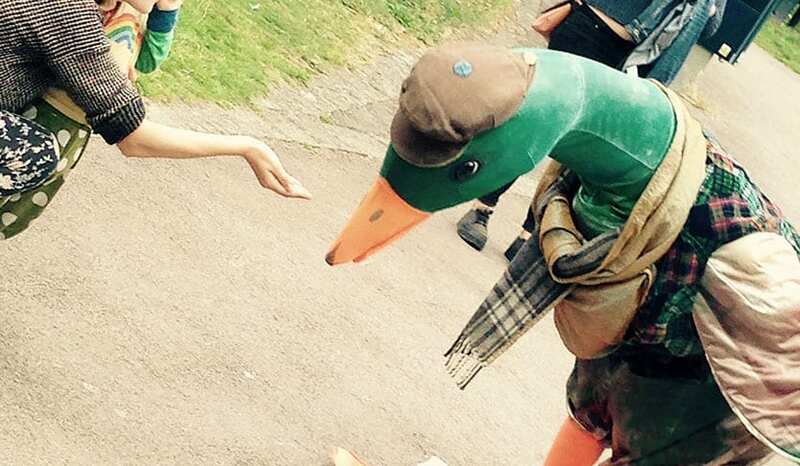 Often making duck parades as they follow you or children follow them. 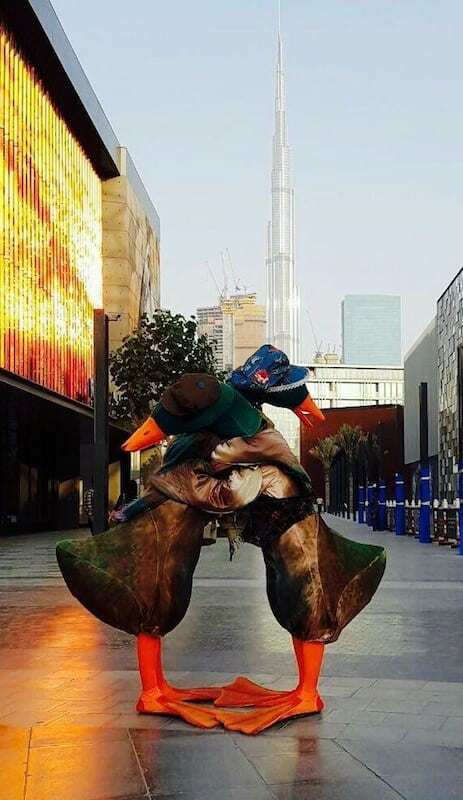 They waddle around and interact with people, occasionally pecking gently at people’s bags or clothing, dance if there’s music and charm the crowd with their gorgeous duckyness. 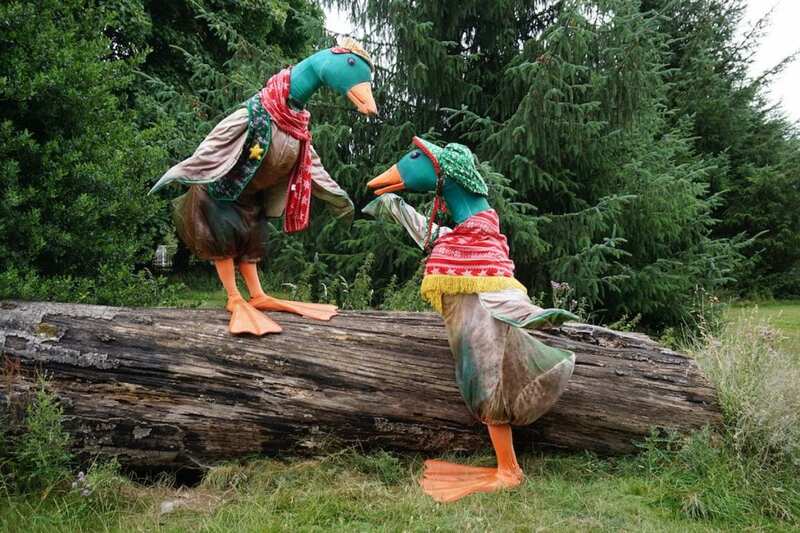 They don’t talk, but make convincing duck noises through a kazoo like quacking device, they are also very expressive through movement and love hugging people.